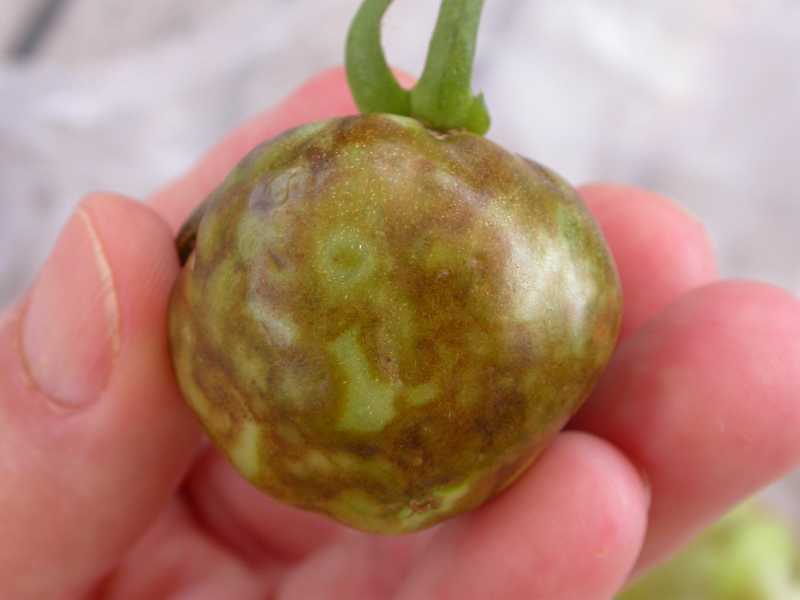 Several viruses infect tomatoes and peppers. 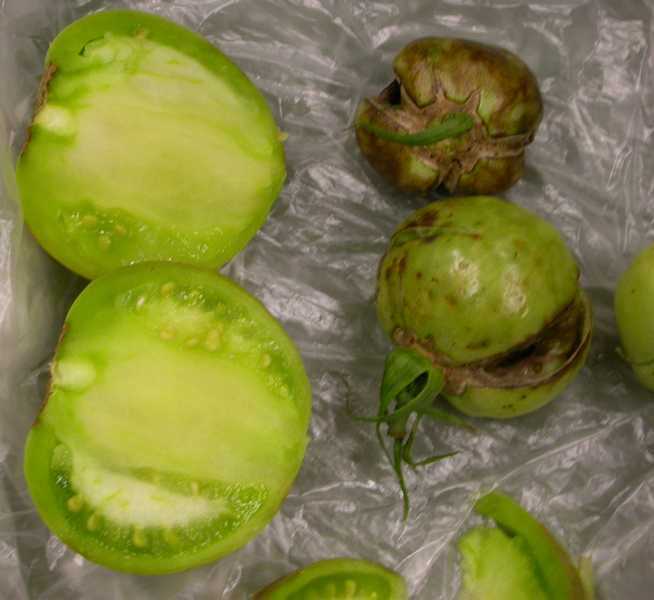 The two most common are tobacco mosaic virus and cucumber mosaic virus. 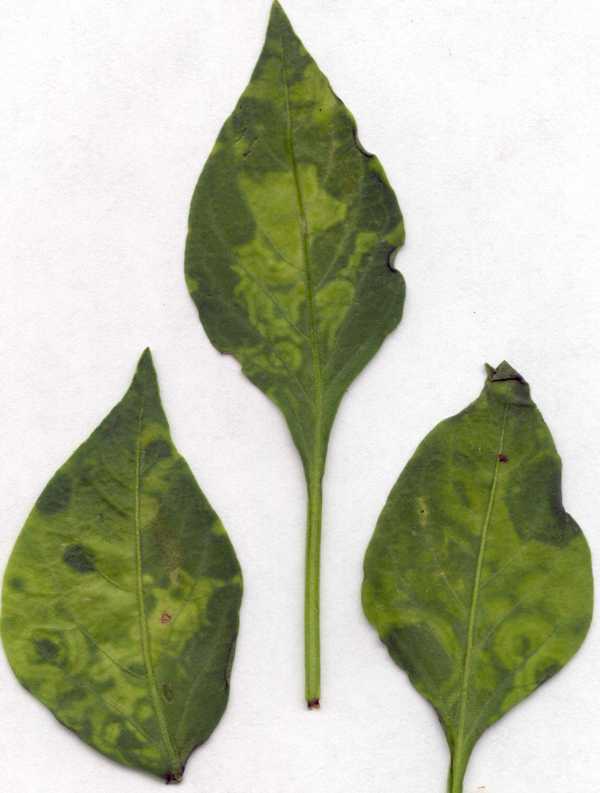 Symptoms vary depending upon the virus and strain, the plant, time of year, and environmental conditions. 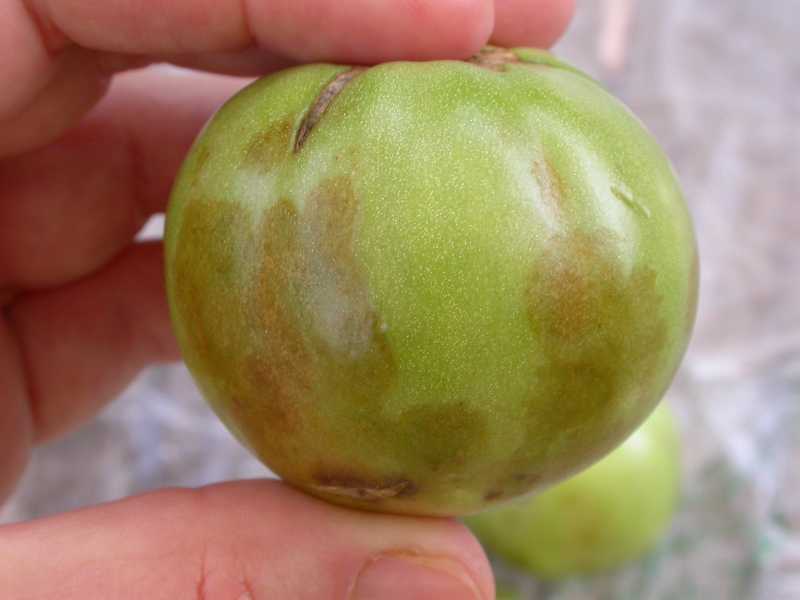 The most common symptoms include leaf mottling; puckering or curling; stem and petiole streaking; rough, deformed or spotted fruit; stunted plants; and blossom and fruit drop. 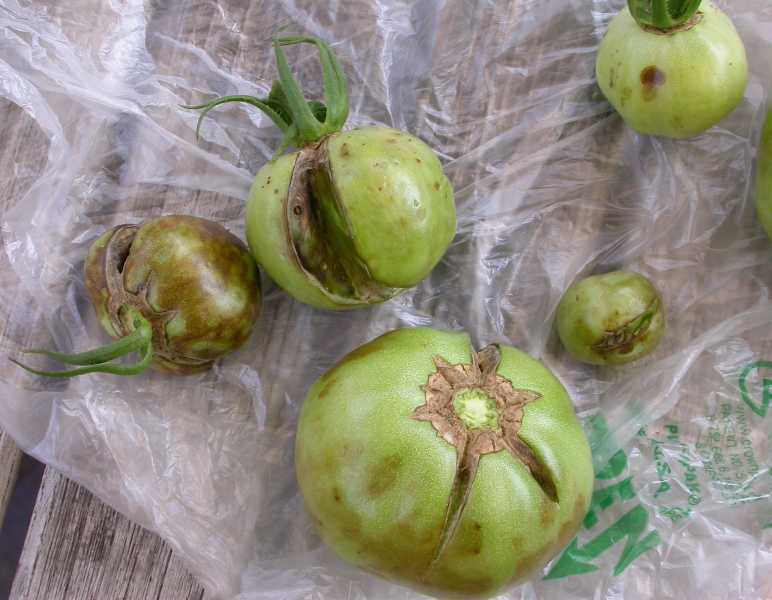 Some viruses cause the leaves of tomatoes to become fernlike or develop a thin "shoestring" appearance. 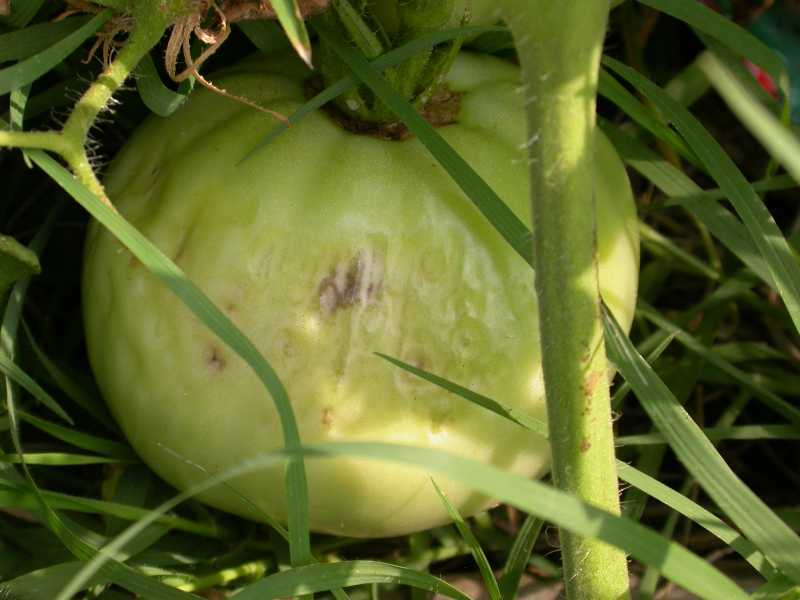 Symptoms may be confused with herbicide damage. Viruses have no active way of penetrating plant parts. They rely upon mechanical wounds, infected seeds, and being carried in the bodies of insects for transmission. 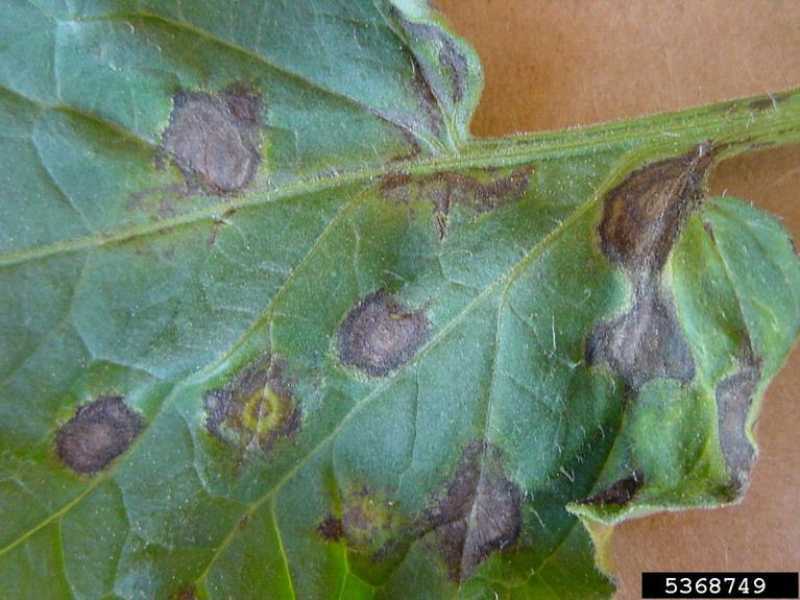 The virus can also be present in tobacco and transmitted to plants by the hands of people who smoke. Once inside the plant cells, the virus replicates. The virus does not usually kill the plant and takes over the metabolic processes of the leaf, resulting in abnormal cell functioning and growth. 1. Remove diseased plants. Once a plant is infected, there are no practical field methods of curing the plant of the virus. Remove infected plants as soon as they are noticed to reduce the chance of spreading the disease. 2. Follow strict sanitation. Persons handling plants must refrain from the use of tobacco or risk infecting the plants. Remove weeds in the area that could harbor the virus. 3. Control insects. 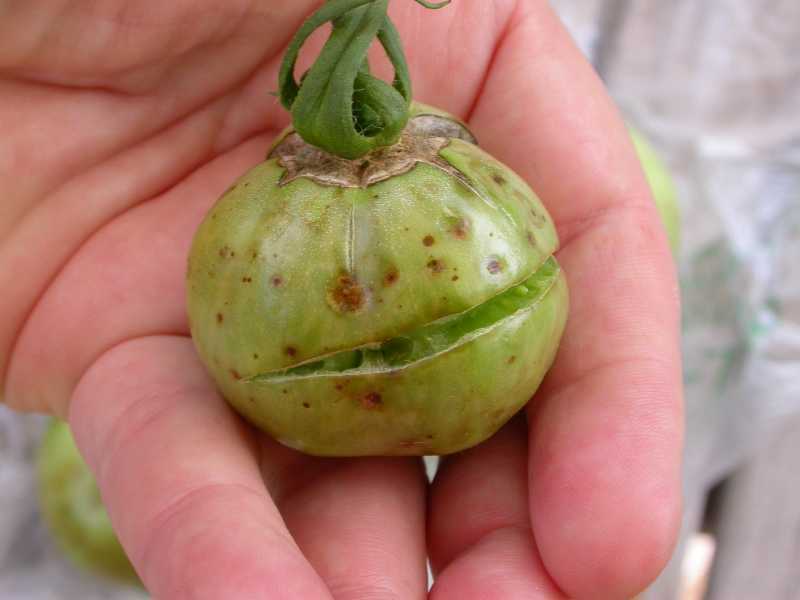 Because insects, especially aphids, vector cucumber mosaic, make every effort to keep insects under control using sticky traps or insecticides. 4. Plant resistant varieties. In subsequent years, plant varieties that are resistant to the most common viruses. 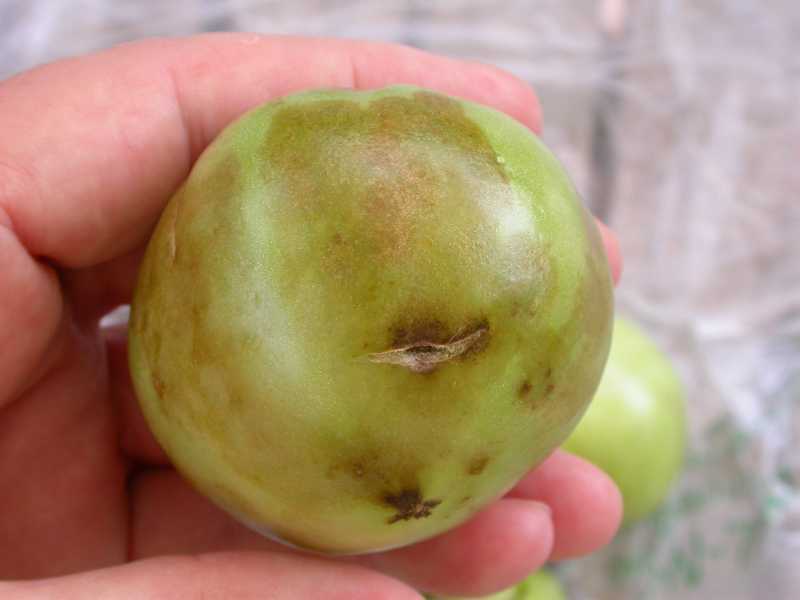 Look for varieties that are marked TMV or CMV after the variety name. Strategies 1, 2 and 4 are strictly organic approaches. Using an appropriate organic insecticide (or removal by hand) would be a viable organic approach to Strategy 3.